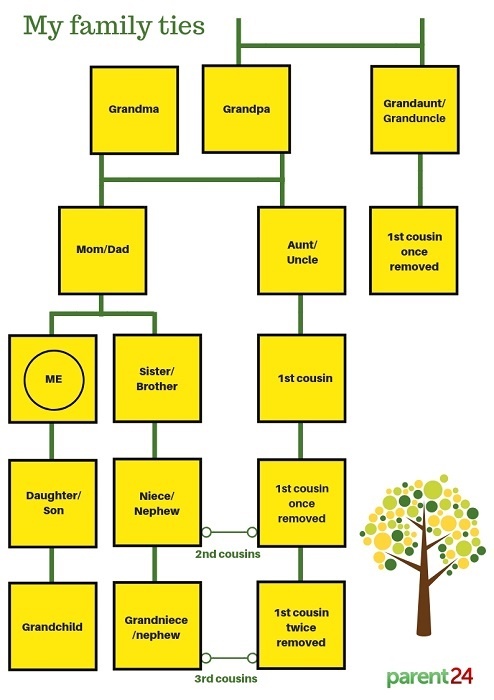 Who is your first cousin and what exactly is a first cousin once removed? They're present at all the family reunions and occasionally pop by on Christmas but have you ever wondered how you're related? In our South African context, across cultures, it's not uncommon for us to address people as mother or father, brother or sister, aunts or uncles regardless of whether we're actually related, and that includes strangers too. Given that as many as 50% of the South African population don't have a nuclear family, these honourary titles really come in handy. It's a sign of respect, and one of the many customs that make our country beautiful. But, how many times have you gotten lost while someone explained that a relative of their's was their aunty's, uncle's, grandma's cousin? Or ever wondered how you're related to your grandmother's brothers and sisters, what to call your cousin's child and what the whole 'removed' thing is all about? 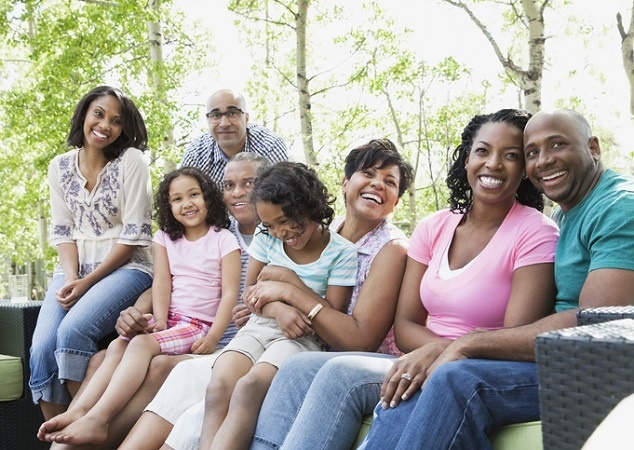 Knowing how you are related can be as confusing as trying to solve a math word problem, so here's a simplified breakdown of how you're related to your extended family members. Have you ever discovered you were related to someone accidentally? Tell us your story by emailing to chatback@parent24.com and we could publish your letter. No real shocker here: the children of your parents' siblings (brothers and sisters) are your first cousins. First cousins share grandparents. The proper title for your cousin's children is "first cousin once removed", and not your second cousin as commonly thought. The term "removed" refers to the generations that separate relatives. Since one generation separates you from your cousin's children or you from your parents' first cousins, they are called first cousins once removed. See how easy it is to get confused? Your offspring and your first cousin's offspring will call each other second cousins, and they will share a pair of great-grandparents. As far as distant relatives go, these folks are pretty up there. Third cousins are your parents' second cousins' children, and you'll share great-great-grandparents. Commonly referred to as great-aunts and great-uncles, your grandparents' siblings are actually supposed to be called grandaunts and granduncles. The grandchildren of your siblings are called grand-nieces and grand-nephews.